Styled with damien blouse . I think I have them in 5 colors now! Great for work. 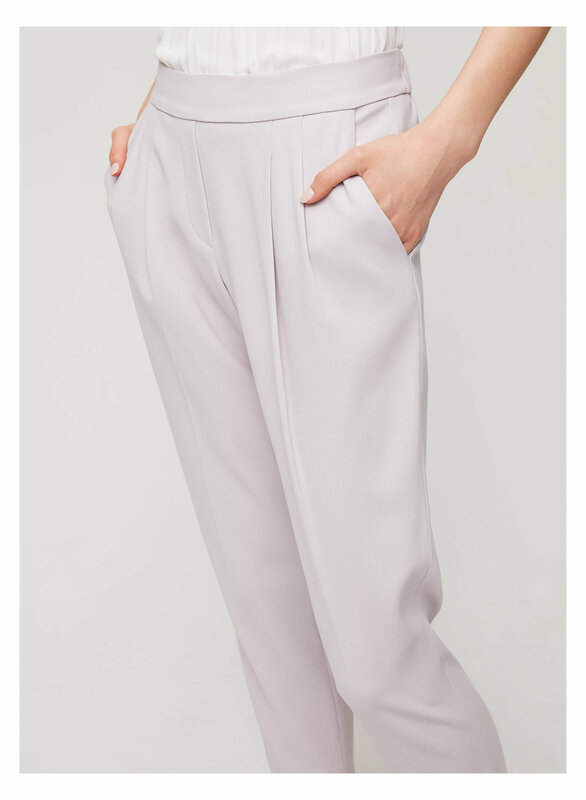 I love these pants so much, I bought two in black and beige. They are so comfy and look chic. I could wear these all day. The material is thin but not sheer and very comfortable to wear. The length goes to my ankles (I’m short) so I might need to alter it just to get the cropped ankle length look. Pants are very comfy but yet can be for work. Length is perfect for me as a petite 5’3 person. Material is light and a bit flowy so it won’t be warm for winter unless you wear stockings inside. Would definitely buy another colour. Will be buying in more colours! Love the fabric and fit! Perfect for work or going out with friends. Love these pants. 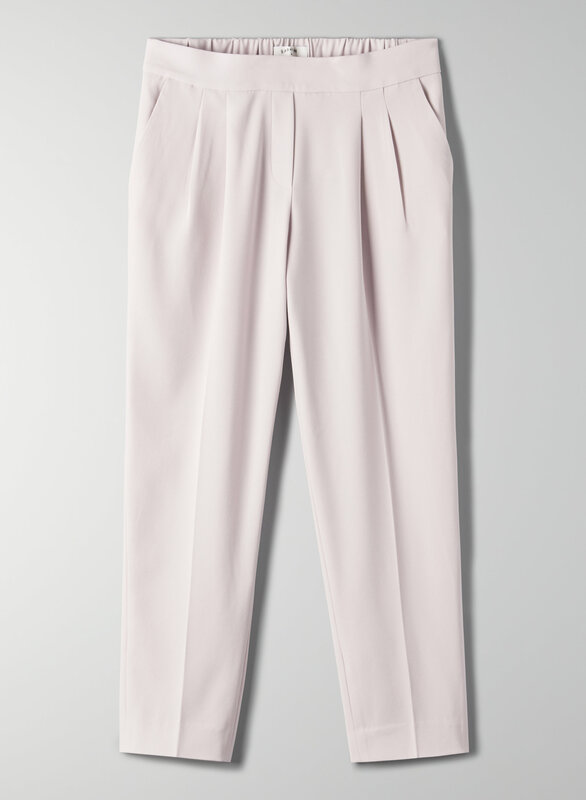 More of a summer pant because of the thin fabric. But very comfortable and they look amazing. I purchased the black and I wear it for work and on the weekends for a more casual look. It’s super versatile and well worth your money. I got another pair in the monterey colour which is a brown olive colour. I know the care instructions say to dry clean but I put it in the washer and hang it to dry instead. The pants kept their shape very well still. I will be picking up more colours in the future. 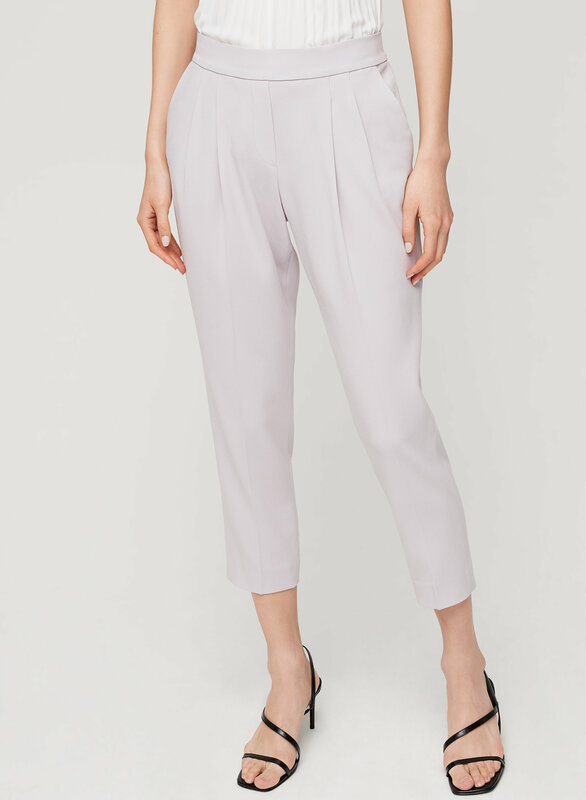 These pants are a great basic pant for my work day. They are comfortable and nice fabric. I have them in two colours and would love more.